Urban issues are tackled in different Challenges of the Horizon 2020, the European Framework Programme for Research and Innovation. In Challenge 6 dealing with Inclusive, Innovative and Reflective Societies, a specific socio-economic item deals with “The promotion of sustainable and inclusive environments through innovative spatial and urban planning and design”. 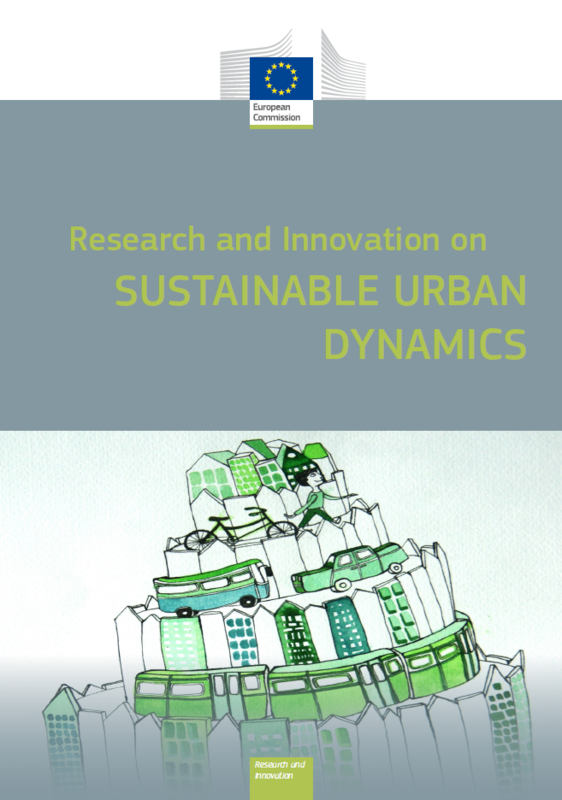 This publication highlights 10 stakeholders-based urban subjects to be addressed over the next years. It also provides a list of the EU urban research projects funded in the 7th EU Framework Programme (Social Sciences and Humanities; Sustainability and Environment; Transport and Energy; ICT; Smart Cities; and Security). 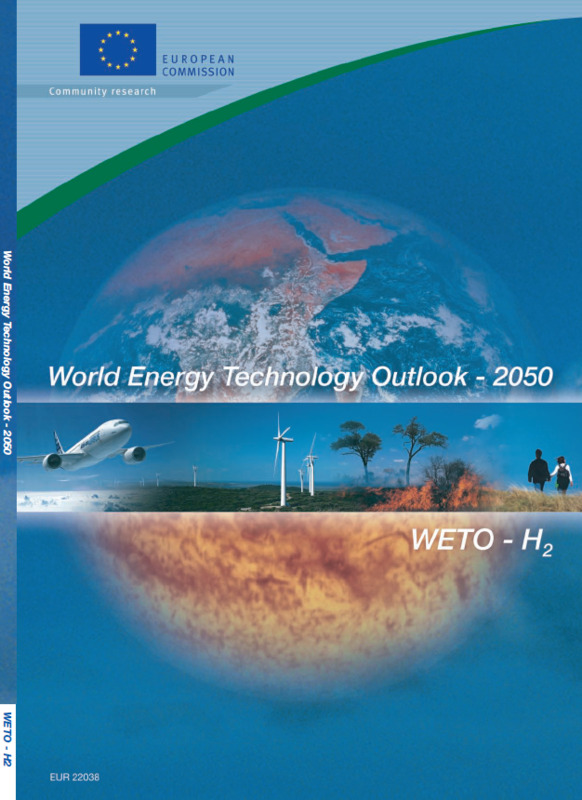 The world energy, technology and climate policy outlook (WETO) positions Europe in a global context. It provides a coherent framework to analyse the energy, technology and environment trends and issues over the period from now to 2030. In this way, it supports long-term European policy-making particularly considering the questions related to (1) the security of energy supply; (2) the European research area; (3) Kyoto targets and beyond. 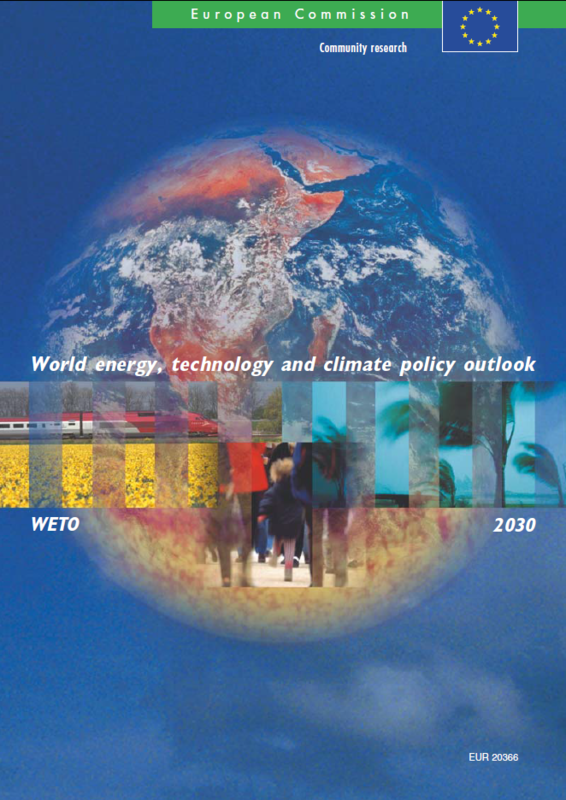 Using the POLES energy model and starting from a set of clear key assumptions on economic activity, population and hydrocarbon resources, WETO describes in detail the evolution of world and European energy systems, taking into account the impacts of climate change policies. The reference scenario encompasses international energy prices, primary fuel supply (oil, gas and coal), energy demand (global, regional and sectoral), power generation technologies and carbon dioxide emissions trends. 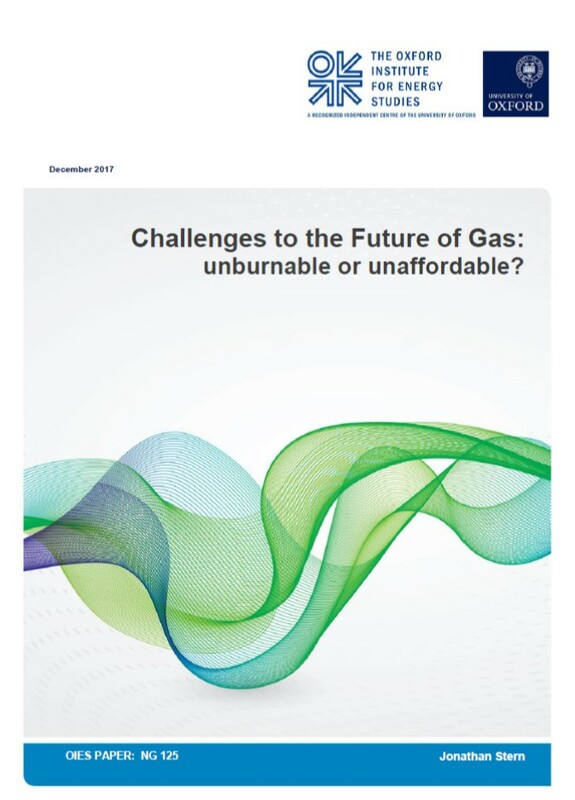 To face uncertainties, WETO presents alternative scenarios corresponding to different assumptions on availability of oil and gas resources (low/high cases) and on technological progress (gas, coal, nuclear and renewable cases). 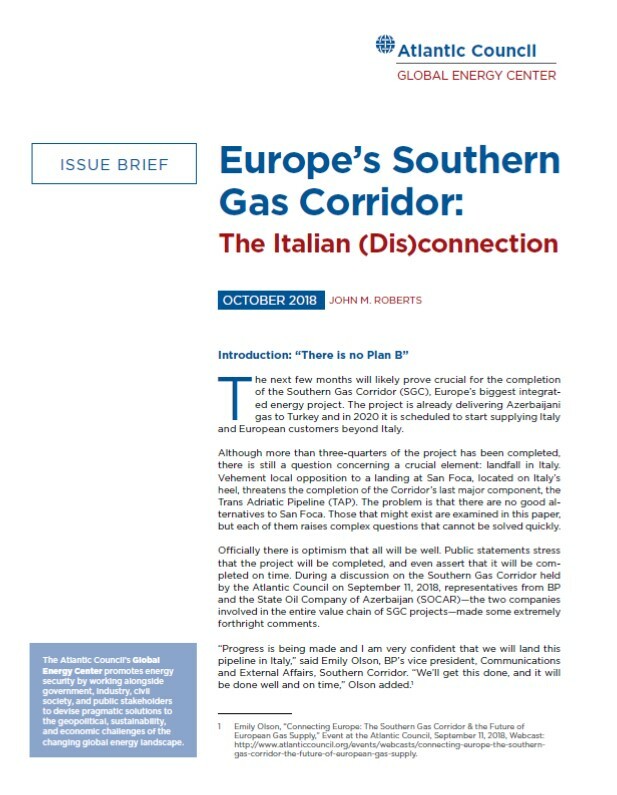 Two major policy issues are addressed: (1) the outlook of the European Union gas market in a world perspective (impressive growth in gas demand and increasing dependence on energy imports); (2) the impacts of greenhouse gas emission reduction policies on the world energy system and on progress in power generation technologies. 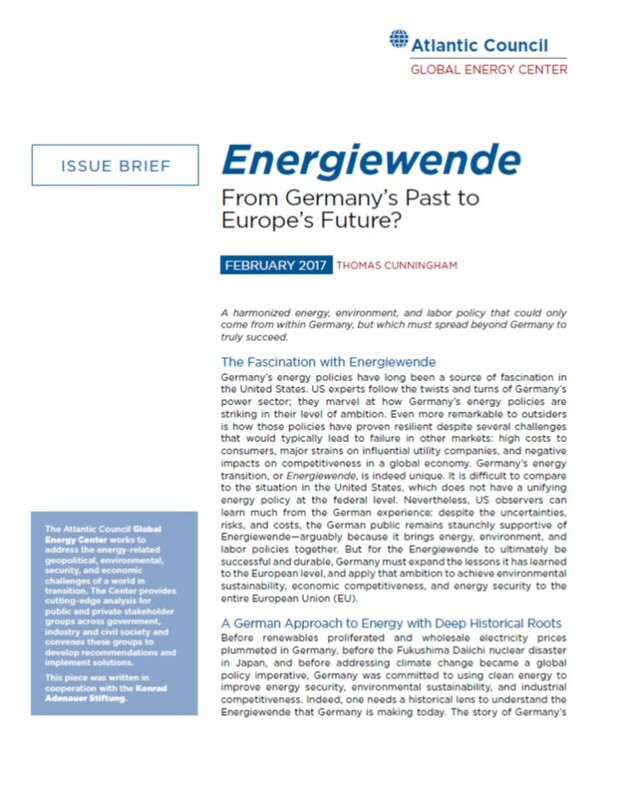 The rigorous analysis of long-term scenarios, with particular attention to the European Union in a global context, will enable policy-makers to define better energy, technology and environmental policies for a sustainable future. This report is an update and extension of the previous trend scenarios for development of energy systems taking account of transport and GHG emissions developments, such as the “European energy and transport - Trends to 2030” published in 2003 and its 2005, 2007 and 2009 updates1. The purpose of this publication is to present the new "EU Reference scenario 2013" ("Reference scenario" later in the text). This Reference scenario was finalised in July 2013. 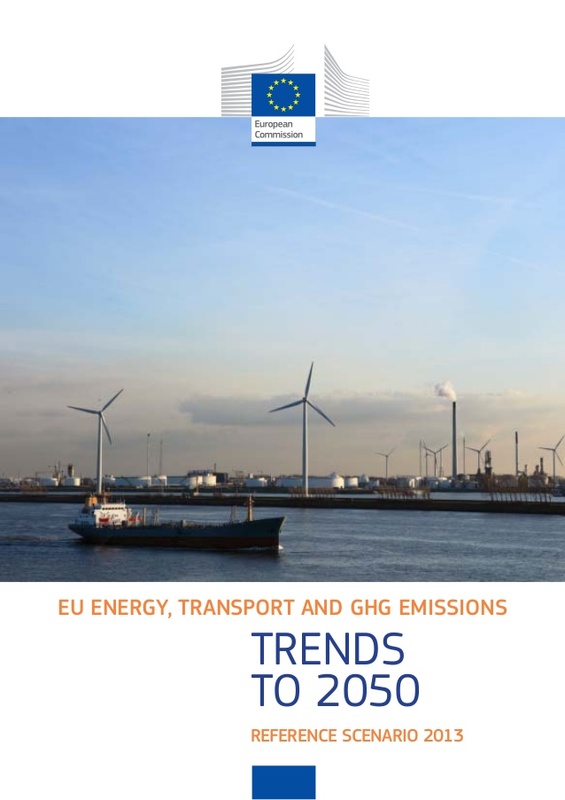 It focuses even more than previous ones on the energy, transport and climate dimensions of EU developments and the various interactions among policies, including now also specific sections on emission trends not related to energy. Its time horizon has been extended up to 2050. It reports for the first time on EU28 including Croatia. Moreover, the modelling process has included four rounds of consultation of Member States experts on Member State specific assumptions and draft modelling results. The responsibility for the results rests, however, with the authors of the scenario who were commissioned to do this work by Directorate General for Energy, Directorate General for Climate Action and Directorate General for Mobility and Transport. This new update is based on the latest available statistical year from EUROSTAT at the time of the modelling (the year 2010). In comparison to the previous version, the newest macro-economic data already shows the statistical effects of the on-going EU's economic downturn in activity of different sectors as well as energy consumption and GHG emissions. The demographic and economic forecasts reflect recent projections by EUROSTAT and the joint work of the Economic Policy Committee and the European Commission (DG ECFIN) respectively. The "Ageing Report 2012"2 has been the starting point of this exercise giving long term population and GDP growth trends up to 2060 while the short and medium term GDP growth projections were taken from DG ECFIN. The recent boom in shale gas development and exploration of unconventional oil reserves are increasing the fossil fuel reserve basis and thus changing the projections about the developments of international fuel prices. The fuel prices have been updated in the new scenario to take into account the recent developments. Significant progress has been made towards the achievement of the targets set out in the EU Energy and Climate Package, and new legislative measures, most notably the Energy Efficiency Directive3, have been adopted at EU level. Several changes have occurred at national levels as well. This report focuses on trend projections understood in the sense of a Reference scenario. Similar to the Reference scenario latest update from 2009, this Reference scenario starts from the assumption that the legally binding GHG and RES targets for 2020 will be achieved and that the policies agreed at EU level by spring 2012 (notably on energy efficiency) as well as relevant adopted national policies will be implemented in the Member States. Following this approach the Reference scenario can help enlightening the debate on where currently adopted policies might lead the EU and whether further policy development, including for the longer term, would be needed. This Reference scenario can therefore also serve as benchmark or reference for assessing the impacts of envisaged policy initiatives at EU level in the areas of energy, transport and climate. Some technology development forecasts have changed since the latest update in 2009 both in positive way: faster than expected development for solar PV technology and negative: slower than expected developments for CCS and remote off-shore wind technologies. Furthermore, international events, such as the Fukushima nuclear accident of March 2011, have changed the perception related to nuclear power generation and tightened the security requirements for nuclear technologies. In the context of climate change policies, specific Copenhagen/Cancun pledges for 2020 have been also set in other world regions, which have been considered in the world energy price modelling part of this exercise.